WMNI now on FM! - North American Broadcasting Company Inc. Interested in advertising with us? Click Here to get started! 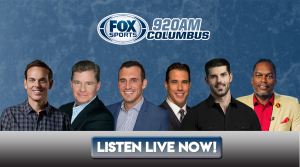 ​WMNI AM 920 is the only AM station in Columbus that features a music format. We are now happy to announce that this heritage station will now also be available on the FM dial! We are proud to announce Easy 95.1 FM now simulcasting on AM 920 WMNI. Get started on your Marketing Plan with us Today!